I had some time today to practice with layers and textures again in PSE. 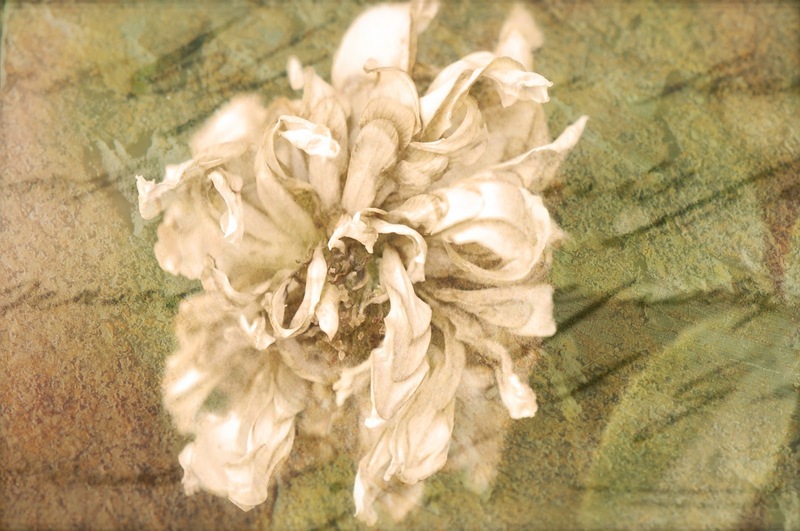 I also wanted to share with you a texture I created and used on the above photo along with a script layer. This is from a table I have in my courtyard. Feel free to use this as a texture if you like. I'm calling it "Stone Age"
I really don't know that much about creating textures yet, but I do like how it looked in my photo above. If you use this texture, I would be interested in seeing what you came up with, so send me a link to your photo. 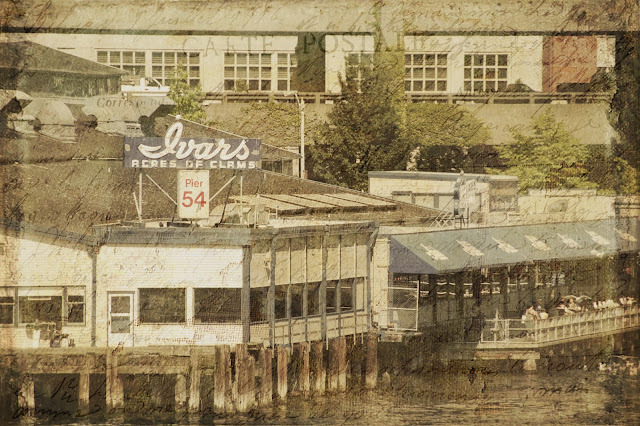 I was going for the "vintage post card look" with this photo I took of one of my favorite places to eat in Seattle. I'm going to be traveling for a few days and even though I'm taking my computer, I'm not sure yet how much time I will have to blog. So for now, I hope everyone has a nice weekend, and I look forward to visiting with you soon! To cool girly.. I love it. You are becoming a pro with these textures. Thanks for the ones you sent me.. They look wonderful. Can't wait to play with them.. Happy travels...eat well, play well, sleep well. Have a good trip Becca! And take lots of pictures - I love what you have done to these! You are getting so very good at this!! oh you are clever! these are fantastic, I love the vintage postcard of seattle. I have lightroom so can't use these textures, I'm so impressed with your many talents! Looks so pretty-I wish I knew how to use things like that! That looks very cool. 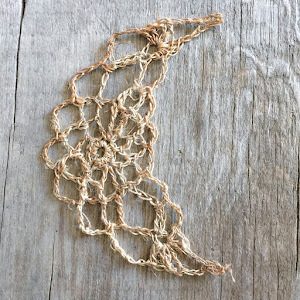 I've been thinking about creating textures myself...just haven't tried one yet. Thanks for offering yours. I love what you can do with PSE I have it on my Christmas list. Have a good weekend. This is just beautiful Becca!! Thank you so much for sharing. That is way cool. You are so artistic! I hope you are having the best weekend ever Becca!!! Ah, such beauty! I must get around to trying these out soon. Love what you did with these photos ...they look great!